If there were a Palestinian Donald Trump, he’d be fulminating against illegal immigrants swamping the Palestinian West Bank. And he’d be complaining that fully 1 in 6 of these undocumented squatters are Americans . Since Americans have trouble understanding the basic facts of the situation, it is worthwhile underscoring that the United Nations General Assembly’s partition plan for British Mandate Palestine in 1947 did not include Gaza or the West Bank of the Jordan. 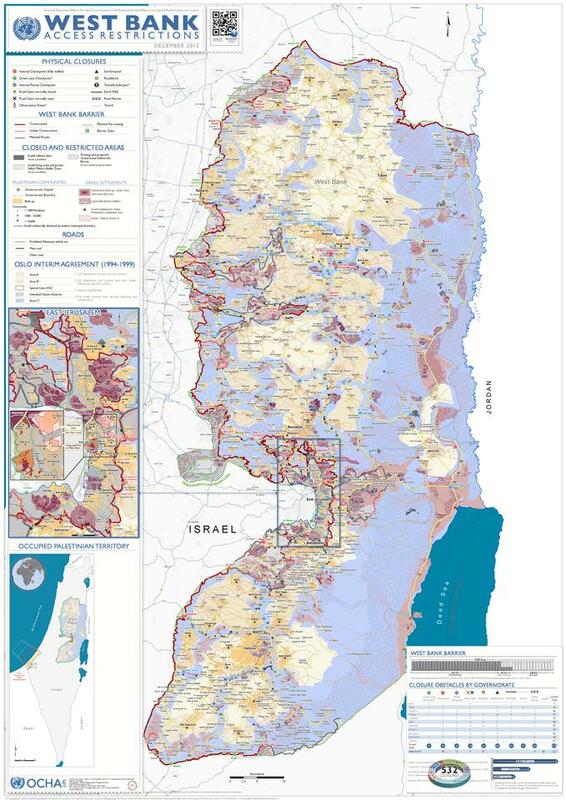 Those territories were never awarded to Jewish settlers or later Israelis by any legitimate authority (even the UNGC is not an executive body and the Security Council should have signed off to grant real legitimacy in law). Israel militarily conquered Gaza and the West Bank in 1967 and have by now so altered the ways of life, economy and society of these occupied territories that the Occupation is illegal by the Hague Convention of 1907 and the Geneva Convention of 1949 (designed to prevent atrocities against occupied populations of the sort the Axis carried out during WW II). It is strictly illegal for the occupying power to attempt to annex occupied territory or to transfer its citizens into militarily occupied territory. Mussolini’s Italy pulled that stunt with the parts of France he occupied during WW II. When you hear that someone has violated the Geneva Convention, that isn’t just an abstract matter. It means that someone is acting the way the dictators acted during the war, because it is that kind of lawless behavior the conventions were attempting to forestall from happening again. Israel illegally annexed part of the Palestinian West Bank to its district of Jerusalem and then settled it with Israeli squatters. Am I comparing Israeli Prime Minister Binyamin Netanyahu to Mussolini in Menton, France? If the shoe fits . . .
Outside the territory annexed to Jerusalem, there are at least 350,000 Israeli squatters who have usurped Palestinian land. This link explains the process of illegal Israeli squatting on and theft of Palestinian land (a process the International Court of Justice ruled is illegal in 2004). Some 60,000 of the squatters, today’s equivalent of Mussolini’s Black Shirts , are Americans, according to a new study. Those American politicians like Mike Huckabee and Donald Trump, who make exaggerated and untrue statements against undocumented workers in the United States but who defend illegal Israeli immigration into the West Bank, are supreme hypocrites. The Israeli squatters, moreover, are often hostile and aggressive, excluding Palestinians from the townhouses they construct on stolen property.